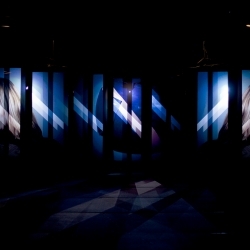 VIDEOAnother amazing holographic video installation from nerdworking for the new collection of Mavi designed by Hussein Chalayan. 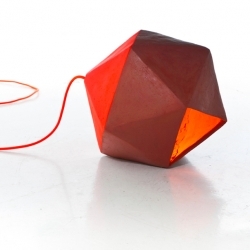 Victoria Molina's Barro de Metepec - Terracota floor Lamp, Advanced Handcraft Object. 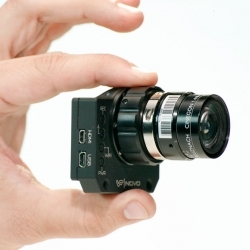 The Novo, from View Factor Studios in collaboration with Radiant Images, is a re-housed GoPro Hero3 that is even smaller and more flexible and robust for cinematic purposes. 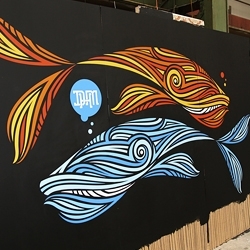 Check out these cute whales, painted by DHM in Amsterdam, last weekend. 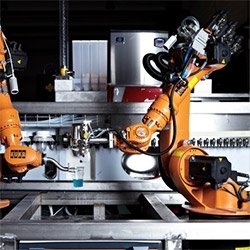 VIDEO"FLUIDIC – Sculpture In Motion" from Berlin based design studio WHITEvoid for Hyundai’s Advanced Design Center. 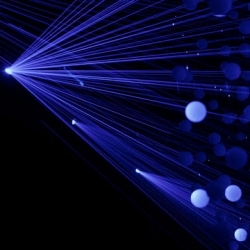 The installation contains a seemingly floating point cloud above a water pond of 12,000 translucent spheres. 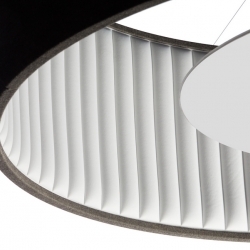 VIDEOSilenzio is the new sound-absorbing collection of lamps designed by Monica Armani for Luceplan. 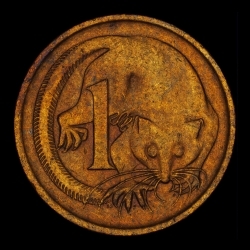 Martin John Callanan's The Fundamental Units, a detailed look at the lowest denomination of currency around the world. 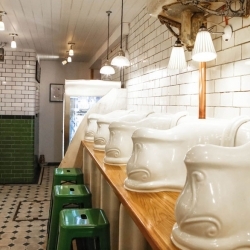 Located under Foley Street in London, Attendant is a transformation of a Victorian toilet from the 1890s, and remnants of its past are still discernable in its interior décor. 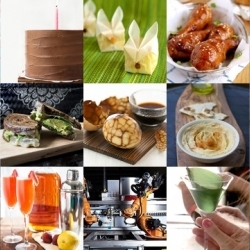 FEATUREDThis week’s roundup from Tasteologie and Liqurious includes tea eggs, origami parchment bunny cakes, and strawberry bourbon lemonade. 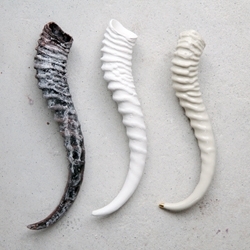 Porcelain antlers via Honeycomb Studio. Courtney Hamill has a pretty good gig. Working full-time in her backyard studio in Atlanta's West Midtown district, she handcrafts porcelain and stoneware pottery. 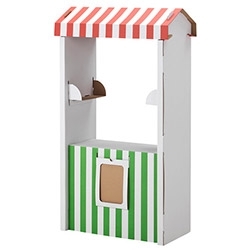 mb! 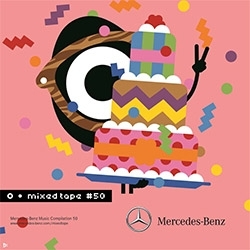 by Mercedes-Benz's 50th mixtape is here... and to celebrate, they tapped Darcel Disappoints for the cover! 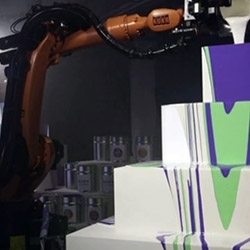 VIDEOJotta created a dynamic live performance to celebrate the launch of the Xperia Z smartphone from Sony, featuring two industrial robots, lights and 50 litres of paint. 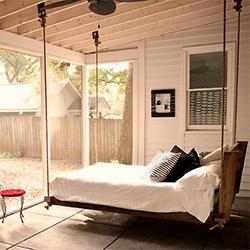 Sleeping PORCH! 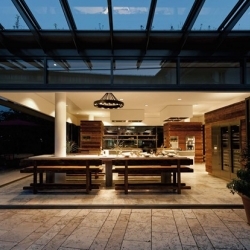 Love this from the Atlanta house tour of Sweet Peach Blog's Pam. Scientists have discovered an entire new genus of bats including this specimen from southern Sudan. 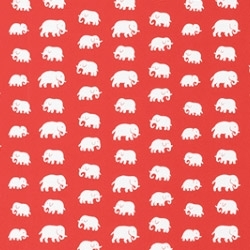 The new genus is called Niumbaha. 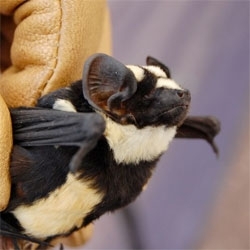 They have incredible black and white markings. 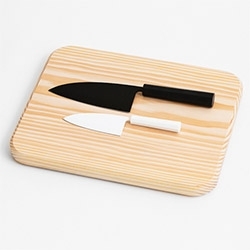 Petter Skogstad's Silhouette knife prototype - "Silhouette is a modern take on the traditional Japanese deba bōchō, which literally means "pointed carving knife". 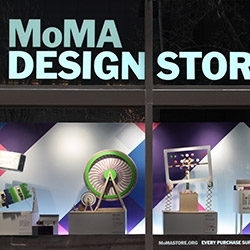 The handle is made of solid colored Corian and is faceted for a better grip." 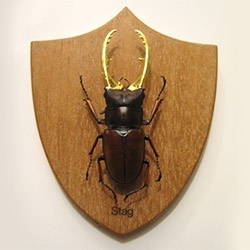 'Big Game' - a set of gold leafed insects inspired by traditional big game taxidermy and insect specimen preparation. 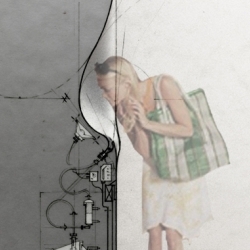 By Scot Bailey. 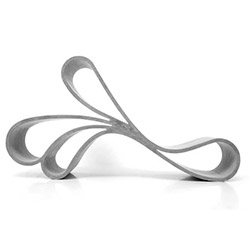 The curves of the Ribbon Chair by Vivianne Kollevris have the strength of concrete with thin and elegant form. 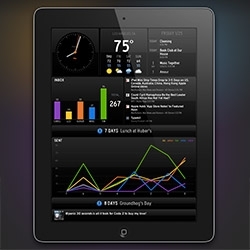 Panic's Status Board - your ultimate iPad dashboard! 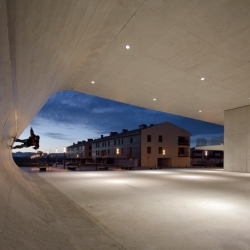 Edificio Dotacional Cordovilla by Itziar Iriarte, Pedro Mariñelarena and Raúl Escrivá. 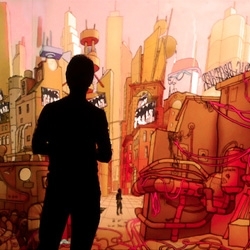 Extrapolis by Théoriz Crew and BKYC is a hand drawn mural brought to life by 3D animation, gesture-based technology, projection mapping, and sound design. 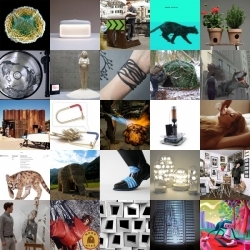 'New Edition', curated group exhibition exploring the wide space between handmade and mass manufactured, at Gallery Funaki in Melbourne. 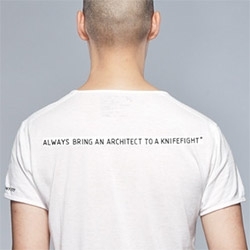 "Always bring an architect to a knifefight" t-shirt from Acronym. 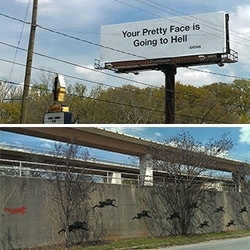 FEATUREDStreet Art in Atlanta. From the fox chasing rabbits down the wall… to the NEVER GIVE UP made up of XOs, to the Silhouette building, to the massive basketball hoop billboard AT&T popped up by Georgia Dome, and lots more! 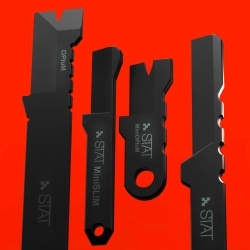 Stat Key releases its line of every day carry multi tools, more cool tech to carry with you to be better prepared. 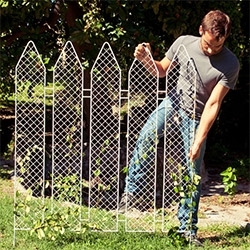 Andrea Rekalidis' PiantaLà ~ lovely combo of metal fencing and a traditional white picket fence... perfect for plants to climb up. 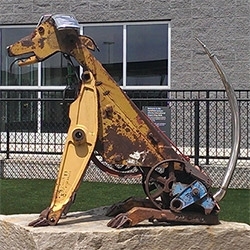 FEATUREDDoug Makemson's Dog Sculptures made of backhoe and bulldozer parts in the Atlanta Airport Dog Park. The one above is inspired by his yellow lab, Abby. 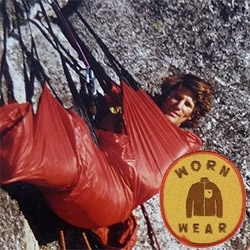 Worn Wear Tumblr from Patagonia ~ lots of fun true stories of their gear that has been in use for years from readers! 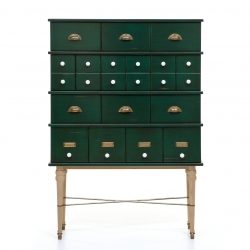 Contador brings the icon of furniture used by nobility in the 17th century, poetically made through the arrays of drawers and mysterious because of the secrets it contained. 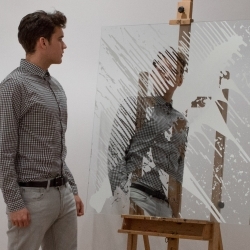 “Liquid Mirror Paintings” - Hybrid between mirror and paint, created with a self-created silver alloy that applied over glass like a paint, the drawing literally reflects like a mirror. 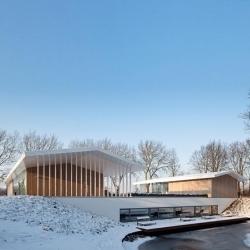 'L House' by the Dutchs architects Grosfeld Van Der Velde Architecten in Oosterhout - Netherlands. 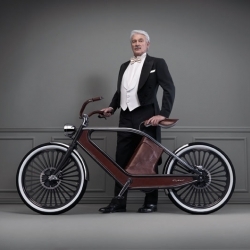 Cykno, an electric bicycle upholstered with fine leather. 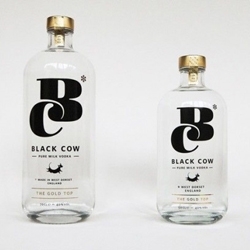 It is the brainchild of Bruno Greppi, Luca Scopel, Gianpietro Vigorelli and Riccardo Lorenzini. 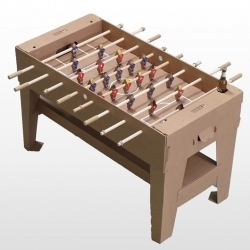 It is light (weighing only 26 kg) and strictly Italian. 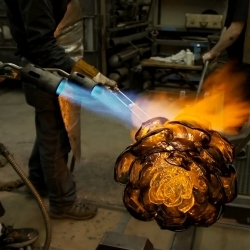 VIDEOArtist Martin Blank sculpting hot glass in his Seattle studio. 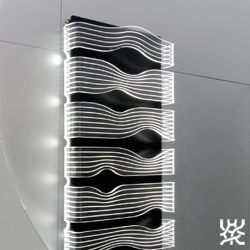 'Shine' - heating radiator / led lamp, design and engineering. By James di Marco for Caleido. 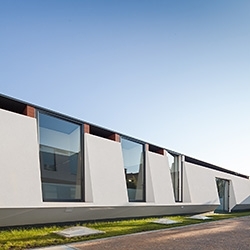 Incredible use of folding glass walls in this eins:33 project in Germany. 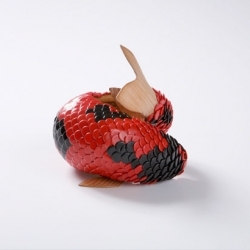 Sergio Mendoza collaboration for TIVD, This Is Very Dangerous, in Lambrate, Milan. 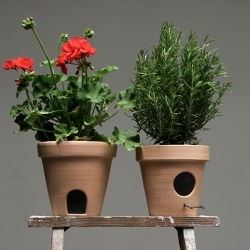 A set of two flower pots with figurative homes for tiny friends. 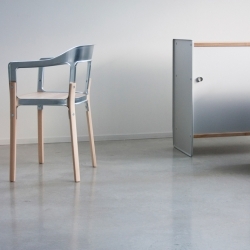 Theca & Steelwood Galva by Ronan & Erwan Bouroullec for Magis. 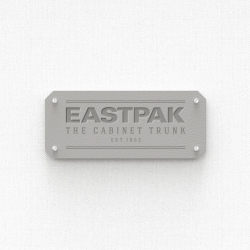 The cabinet trunk for Eastpak tells a story of tradition craftsmanship and adventure. 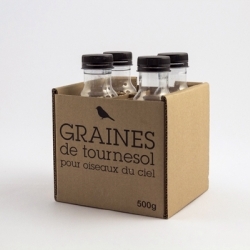 Designed as a storage cabinet for indoor as home cabinet and outdoor as a travel trunk!